South Korea will ink a provisional agreement with the US for the cost of maintaining US troops here Sunday, wrapping up nearly yearlong negotiations, according to a source Friday. Under the deal, Seoul will pay about 1.03 trillion won ($916.3 million) for costs related to the stationing of 28,500 members of the US Armed Forces in Korea for 2019. The contract is valid only for this year per Washington’s request for annual renewal of the agreement. 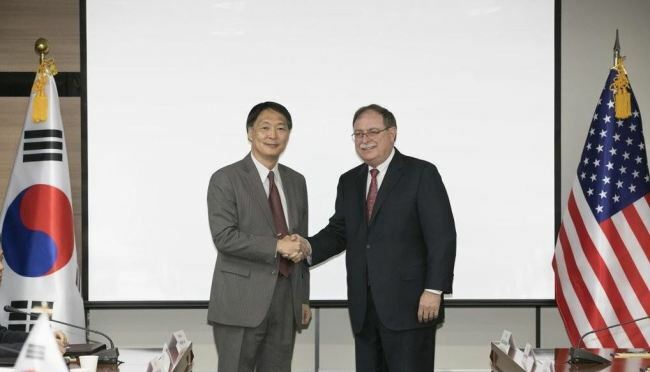 This week, the two countries concluded talks that started in March 2018, after facing difficulties in agreeing on the total amount of contribution demanded by the US and that which Seoul was able to accept as well as differences over the contract period. Korea had sought to seal the deal at under 1 trillion won, valid for three to five years. It paid about 960 billion won in 2018. The tentative pact is subject to approval by the National Assembly.